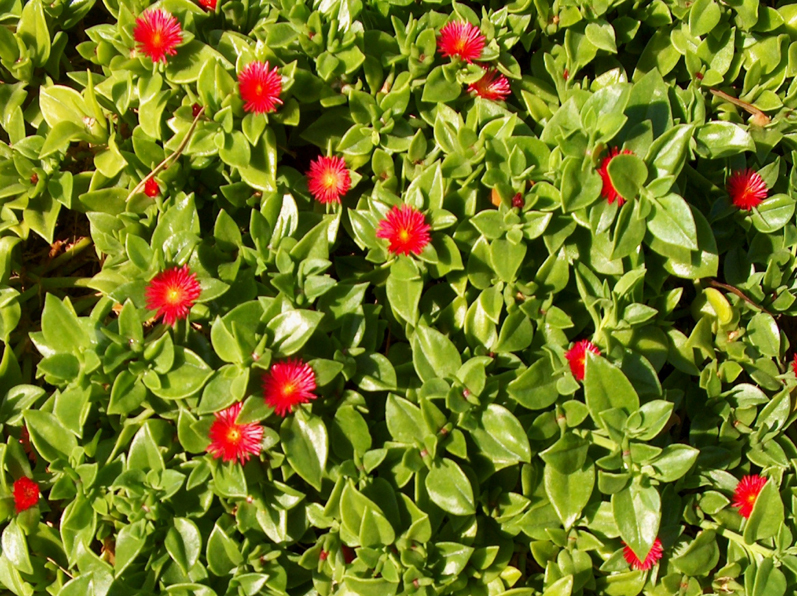 Comments: This plant is very similar to a close relative the ice plant (Carpobrotus edulis). It produces thick, fleshy succulent, pointed leaves that can form a nice ground cover over time. The bright magenta colored flowers are special features during the summer months. Provide a sandy, well-drained soil and full sunlight for good blooming. It grows well in containers like hanging baskets and is especially good for xeriscape gardens like rock gardens.